We inspire and enable people in Cornwall through food to achieve meaningful change in their lives. We do this through training, employment and better life opportunities, adding real value to the local economy. We are known for manging the Fifteen Cornwall Apprentice Programme and Jamie Oliver’s Fifteen Cornwall restaurant. 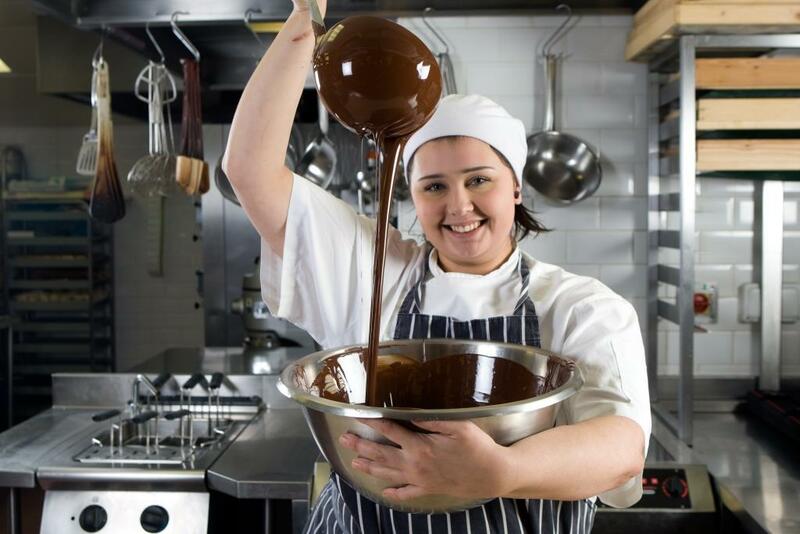 In its first 10 years Fifteen Cornwall recruited over 180 apprentices. Training also includes hospitality skills training and higher level skills to progress people in the industry. At the heart of our approach is the integration of technical skill development with personal development. This applies equally in our community training programmes where we engage communities through food-related activities focusing on health, education and employment. The Food for Change will build four locality-based Food for Change partnerships in Redruth, Truro, St Austell and Newquay. These will enable users of foodbanks and mental health and other social services to address barriers to active inclusion in the economy, also fostering new ways of working and effect lasting change in local community infrastructure as well as enabling 278 participants to progress into, or closer to, work. This is an Open Call project funded until November 2019. Unemployed and economically inactive people; Have the right to work in the UK. Camborne/Redruth: Specialise in community get-together, activities to support personal health and wellbeing and to help make people “Better Off”; including providing new skills and support for employment; activities that aim to make “Better Sense” of community resources and government policy. This includes encouraging new approaches to economic growth, clearer thinking around issues of equality and diversity and better use of food. Newquay/St Austell/Truro: Community gardens/growing space, mental health therapy, educational services, support to the local community, social inclusion and skills. Newquay/Truro: Specialising in strengthening and supporting faith-based community social action and anti-poverty work. St Austell. Helping vulnerable and needy people with a meal. Funded by donations of food and monies by people of St Austell, the churches and other groups of individuals. St Austell/Truro. Specifically supporting youth groups, running programmes and projects, and working with partners to cater to the needs of young people in Cornwall. St Austell. Specialise in emergency food and support for those in crisis. Truro. Specialise in emergency food and support for those in crisis. St Austell/Truro. Working in collaboration with a wide range of organisations to promote and support active citizenship and voluntary action covering emotional, social, environmental and economic needs and opportunities. Truro. Specialise in working with volunteers in the community, learning new skills whilst working with real customers, under the watchful eyes of excellent trainers. Visit the Food for Change website.